In collaboration with Project Zero (PZ), the Harvard Graduate School of Education is offering opportunities to engage with the ideas of PZ both in-person and online throughout the year. Click here to learn more about scholarship opportunities for PZ online courses and the on-campus institute. Project Zero Classroom features various frameworks and tools that enable you to look at teaching analytically, develop new approaches to planning, and make informed decisions about instruction. As a participant, you will explore ways to deepen student engagement, encourage learners to think critically and creatively, and make learning and thinking visible. In a Project Zero classroom, teachers are also learners who model intellectual curiosity and rigor, interdisciplinary and collaborative inquiry, and sensitivity to the ethical and aesthetic dimensions of learning. These 13-week, coach-facilitated, asynchronous online courses are research-based and grounded in day-to-day teaching and leadership practice — you can apply what you learn, as you learn. Educators form teams of 3 to 6 to participate. You will work with peers facing similar challenges and take away real-world solutions, inspiration, and the support of an engaged community. Each course promotes active, team-based learning that supports collaboration and sharing in schools and districts. Each has its own focus area but they also work well together. Which course is right for your team? Click here for an overview and comparison of all Project Zero Online courses. 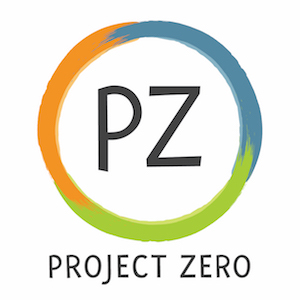 Scholarships are available for both Project Zero Online Courses September 2019 Term, and the Project Zero Classroom 2019. Click here to learn more. Daniel Wilson is lecturer on education and director of Project Zero at HGSE. He is a principal investigator at Project Zero, a lecturer at HGSE, faculty for the Doctorate for Educational Leadership Program at HGSE, and the educational chair at Harvard’s Learning Environments for Tomorrow Institute, a collaboration with HGSE and Harvard Graduate School of Design. His teaching and writing explore the inherent socio-psychological tensions — dilemmas of knowing, trusting, leading, and belonging — in adult collaborative learning across a variety of contexts. Specifically he focuses on how groups navigate these tensions through language, routines, roles, and artifacts. PZ-HGSE Online Courses are informed by the work of the WIDE World Online Course Project that operated from 1999 – 2012. Through its history the WIDE World project was fortunate to have had the support of many individuals and organizations. Mr. Albert Merck, a 1943 Harvard College graduate, and his wife, Kate, were foundational supporters and continued their generous philanthropy throughout the entire 13-year project. In 2012 the WIDE World project integrated into Programs in Professional Education (PPE). Mr. Merck’s legacy continues with the development of new courses based on Project Zero research using and expanding on the online learning model that was developed by WIDE World.